The JM-WD-12003 is a 4 Pc. 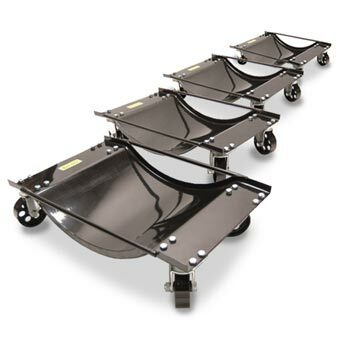 set of Wheel Dollies designed for quickly moving tires & wheels up to 1,000 LBS. 2 Boxes, 60 LBS. Ea. The JM-WD-12003 4 Pc. Set Wheel Dollies' weight is just under 120 LBS. total. They will ship in two separate boxes that each weighs 60 LBS. If you have any questions or would like more information on this equipment, PLEASE CALL US AT 1-888-736-5094!